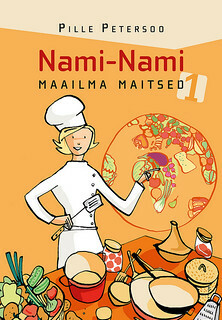 Looking for a new way of preparing salmon? 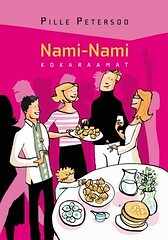 I (and several other Estonian foodbloggers) have discovered a delightful recipe from the 7th issue of the always beautiful and inspirational Finnish food magazine, Glorian Ruoka & Viini (Gloria's Food and Wine). 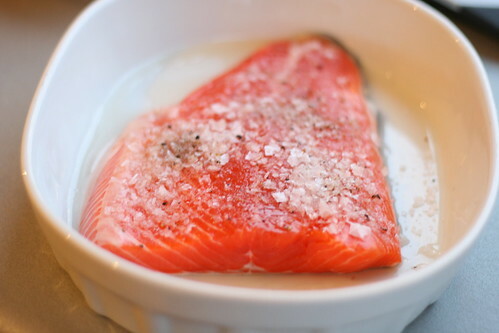 Whereas confit, the old French cooking and preserving method, usually describes food (traditionally goose, duck or pork) that has been salted and then slowly cooked in its own fat, then here's it's a fillet of salmon that has been cured in a sea salt mixture and then slowly cooked in olive oil. The resulting dish is dark opaque pink, extremely moist and delicious both hot or cold. 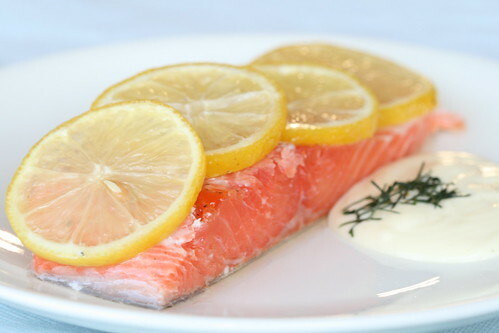 In the magazine, the salmon was served cold on a bed of lentil salad. We enjoyed it both hot and cold, simply with some good home-made mayo. Mix sea salt, sugar and pepper and spread over the fish fillet. Cover with clingfilm and leave to season in a fridge or cool place for up to 3 hours. Wipe off the salt mixture, and place the cleaned fish fillet into a small oven dish, where it fits snugly (the better the fit, the less olive oil you need). 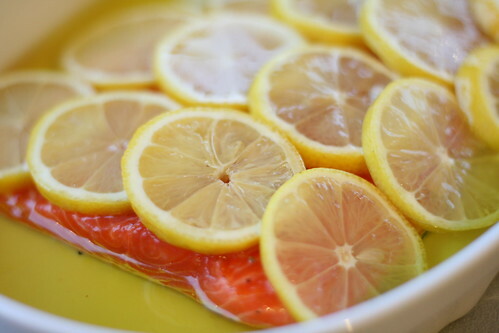 Layer lemon slices over the fish, then drizzle enough olive oil on top, just to cover the fish. Insert a meat thermometer into the thickest part of the fish fillet. Cook in a pre-heated 75 C / 167 F oven for about 40 minutes, until the internal temperature reads 38 C / 100 F.
Remove the fish from the oven, cool until it's reached the room temperature. Serve at once or cool completely in the fridge. wow- i'm not HUGE on fish! but this looks AND sounds great! What an excellent way to showcase salmon, and to keep it when you have an excess (is that possible?). So interesting! I'm not even sure my oven will go that low, but I'd love to try it. What a great idea, thanks Pille, I will certainly try that. that looks delicious! going straight into my receipes-to-try folder! Thanks for sharing this recipe - it looks so delicious!! !